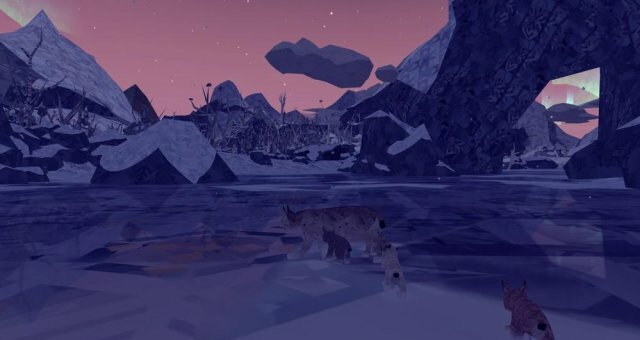 If you're new to Shelter 2, and you're confused about how to care for your cubs, then look no further! This guide goes over every type of predator, hazard, prey, collectables, controls and so much more! Dark and grime, twist through the vines. Slip through perils with finesse and toil, be two for strength, be two in mind. Find the way home to familiar soil. Firstly, you need to know how to control Mother Lynx! I will note keyboard and XBOX 360 controller configurations, so don't worry what controller you are using! WASD or Left Joystick to move. Mouse or Right Joystick to alter the camera. Left Mouse or X is to call your cubs, pick up/drop corpses, drink, and pick up your cubs. Right Mouse or B is to turn on Hunter Vision or to eat. Shift or Left Trigger is to sprint. Spacebar or A is to leap whilst sprinting. M or Left Bumper is for Memory Map. C or Right Bumper is for Collectables. Mother Lynx is pregnant and searching for a den. But the night is cold, and fearsome predators have caught her scent. This part is fairly self-explanatory; all you need to do is run from the wolves that are tailing you. A moment on, you will come across a lake - just jump it. 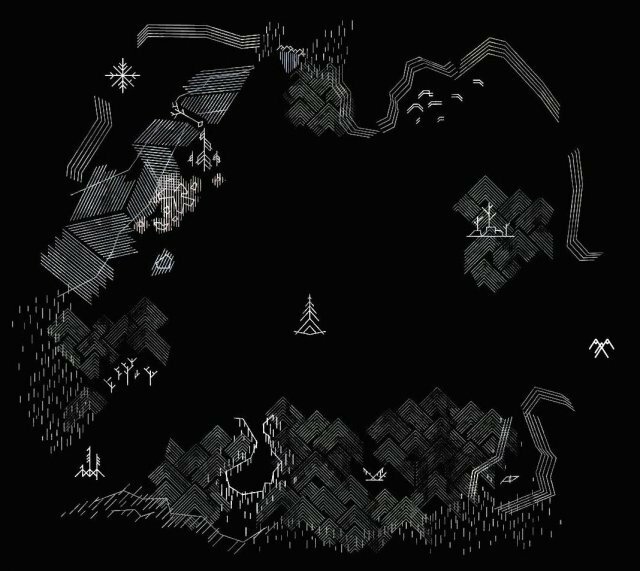 After doing such, follow the visual cues to jump on the ledge, and you are transported to an area near the Center Tree. Follow the stars up to the den, and so begins Shelter! She ventures into a vast open world. A land full of prey to feed her starving family, who are not yet strong enough to leave their warmth and shelter. You need to be good at hunting in this game, otherwise you will soon find your cubs will die. Opening Hunting View will turn your screen darker and highlight map points. Any possible prey (and sometimes predators) will be shown in bright red colouring. Just opening Hunting View will decrease energy in Survival Mode, so don't overuse it when playing in such mode. Simply sprint towards prey and touch it to kill it, but beware, they are fast! Sprinting will quickly decrease your energy circle, found in the bottom-left. Eating food recovers energy, but do not eat food that your cubs want, because they need to eat and you don't. An easy way to recover energy is by drinking at a lake or small water source, which recovers up to about 4/6 of your energy. In the beginning, your cubs cannot leave the den. You must feed them three hares for them to be able to leave the den. They will automatically be named (Vavi, Kir, Solda, Bova) and colour/patterned - though you can change their names. You cannot change the original mother's name, which is Inna. Be careful what you name them, because it will be important in your next playthrough! A look to the heavens, eyes up to the sky. Taking strides to higher levels, to ask the what and why. You need to care for your cubs in order for them to survive. You need to frequently feed them, and as such you must hunt tirelessly. If your cubs do not get enough sustenance, they will collapse. If you don't feed them within a short time after they collapse, they will die. When cubs are hungry, they will meow constantly (excluding in reply to your meows). Make sure to feed them when they are hungry! Cubs can also become frightened or possibly cold (during winter), often for no apparent reason. This means they will stay still, shaking and meowing, and will refuse to follow. This can be easily solved by picking them up for a moment, then dropping them again. Make sure none of your cubs are left behind due to fear or cold! When there is danger, your cubs will also come closer. If you leave food/there is food nearby, they will automatically run towards it, so make sure you don't lose them or let them be attacked! That night, the stars whispered to Mother Lynx. The Center Tree (The big tree, also the starting area). These icons are shown when you open Hunting View, so you don't always need to open the map to see where you are heading. In fact, the map does not show which way you are facing! Each location has different dangers, predators, and prey, including different surroundings, so be wary, but don't be afraid to explore! In Survival Mode, prey will migrate away from you, so changing location is not a choice. Wet, scared, alone, abandoned. She was puzzled - head filled with questions. Was this fate? was this random? Time to move. To make the right impressions. If you want to find them all, I recommend looking up a guide to finding them all, or simply looking for them youself! Good luck! Warmth of love, family and comfort. Perils of the wild, vile things far from child. Whilst you venture out, beware of dangers! They vary from each location on the map, so always keep an eye out. I will list all dangers below, so you don't get a nasty surprise from the fog or a wolf. Mother Lynx will hiss when you call, and cubs will refrain from straying when danger is around, so use these as tell-tale signs of a predator or hazard. The Lonesome Fog is quite scary at first sight, but it is one of the weaker dangers. Otherwise known as 'The Blob' or 'The Flood', it floods over the land, looking like a large blob of mud or water. The sky will darken into a reddish-grey. It will only appear in the Lakeside and Center Tree regions. My best advice at avoiding the Fog is to stay in one place, preferably lying down, and continue calling! Make sure all of your cubs are in your sight next to you, and keep calling. Often, one cub may freeze up out of fear if you start walking, so don't risk it! If you leave a cub, in fear or not, behind and out of sight in the fog, it will be eaten up by an unknown creature. In the Tundra territory, wolves will appear, and are highly likely to on your first visit per generation. This is signalled by the sky significantly darkening, and the howling of multiple wolves can be heard. Wolves are somewhat easy to avoid; all you need to do is jump onto a square-looking ledge rock, and your cubs (no matter what age, in Normal Mode) will follow. Keep in mind that on Survival mode, cubs cannot jump onto rocks until they are adolescents. You can offer prey to the wolves, such as dead rabbits, and they will leave. Be careful not to fall off or endanger your family if you do, however! Forest fires can happen anywhere, particularly so in the Lakeside area. They are caused by lightning strikes, which spark the ground and flame up. The flames will spread until it begins to rain. If you leave a cub behind in the fire, they will cry out and die. Run away as fast as you can when you see a forest fire, but not too fast for your cubs! Bears are new predators added in the Mountains DLC, though often are not fatal in their attacks. There are two kinds of bears - Grizzly bears (found in every territory but Tundra) and Polar bears (found in no territory but Tundra). Bears will attack suddenly and sneakily, often when you have freshly caught food, and will roar loudly before charging for you. If you see or hear a bear, run! They will almost always go for only you, and not your cubs - a bear attack on Mother Lynx causes you to black out, so the punishment isn't too harsh. Once you awake from your blackout, though, one of your cubs will be collapsed, and any nearby corpses you had caught beforehand will be gone, so you need to go and bring back food/bring your collapsed cub to food IMMEDIATELY. You cannot kill bears, so don't even try it! Foxes are new predators added in the Mountains DLC. They can appear in any territory, especially the Mountains or the Center tree. They will stalk you and your cubs, though you cannot chase them off due to them being persistent and also VERY fast. To catch them, you need to face your back to it and when it rushes and picks up a cub (slowing it down), run after it and knock it over. It provides a lot of food for all of your cubs, and you can get a special fox skull collectable from the corpses. Hawks are new predators added in the Mountains DLC. Hawks can appear in any territory, especially the Mountains or the Center Tree. They will circle your cubs, and after a small while, will screech and plummet downwards, grabbing a cub. The weight of the cub slows them down and they fly near the ground for a while. You can save your cub by sprinting and jumping on the hawk while it is low, killing it and providing a lot of food for all of your cubs. You can get special hawk skull collectables from the corpses. Off on the trail, moving slow, moving steady. Dark clouds loom, dark lands wail. Dangers are here, dangers are many. There are a few types of creatures you can prey upon, which will be looked over here. As for huntable predators (foxes and hawks) they are looked over elsewhere. The hares are the second-easiest prey in the game, some having delayed reactions and not being able to run too fast. For hares, all you need to do is sneak up to them and sprint to catch them - often you can just sprint right after them without sneaking! They are very common, and found in every area on the map. Hares can feed two cubs at once, and a moderate amount of the energy circle. They drop hare skulls. Voles are the easiest prey in the game, being very slow, small, and stupid. They are found in every area. All you need to watch out for are their holes, which they will retreat into, but often these do not pose an obstacle. Even if they do go in, they will come out soon afterwards if you wait, and often do not even go into them. However, voles will only fill a small amount of the energy circle and will only feed one cub. This makes them useful for a starving cub, but not for much else. They do not drop skulls. Pheasants are harder to catch. They are found in every territory, but only in the regions where there are an abundance of trees. They first will run rather fast away from you whilst trilling a loud alarm call. Sneaking can sometimes help with getting a headstart. After a small while, they will flap their wings whilst running, slowing them down just a little bit, and again after a small while they will take off. If they get too high off of the ground they will be unable to be caught, but if they are still somewhat near you can jump and grab them! They will feed three cubs at once, and will drop a game-bird skull, making them very useful. Grouse are essentially the same as Pheasants, though they are exclusive to the Mountains DLC. They are also more abundant during snowy seasons, or in snowy areas, such as the Mountains or Tundra. Deer are found in the Tundra area, in herds of 4-5, equipped with antlers and brown fur. They are somewhat difficult to catch, due to their high alertness and high speed. To catch one, you will have to jump onto it once close enough. They drop a deer skull, and will feed all of your cubs simultaneously. Water Deer are very similar to Normal Deer, though are found in the Lakeside region in groups of 2-5, and have fangs instead of antlers. They are slightly smaller, slower, and weaker than Normal Deer, however. They are reddish-brown with a dark brown stripe across their back, which distinguishes them from other deer types. They drop a deer skull, and will feed all of your cubs simultaneously. Chamois act and look similar to deer in-game, but are actually mountain goats! They hang around in herds of 2-3, and are fairly rare to come across. They are found in the Tundra area, with black bodies and white faces with a black stripe down the middle. This causes players to often call them 'Skull Deer' or 'Badger Deer'. They are far faster, rarer, and harder to catch than the other deer. They will feed all of your cubs simultaneously, and strangely, drop a deer skull. Nature changes, Time passes. Strength grows and bones stretches. Living is hard. Once you reach around the time of the second spring-summer, your cubs will grow up into adolescent lynxes. They become around the same size as Mother Lynx, if not slightly smaller. This means that they can catch food, are speedier, can jump onto rocks (in Survival Mode), and become hungry more easily. Do not depend on them to catch their own food - food one cub catches will often be eaten by their siblings, so pick up any food they catch to ration it. They can only catch small prey like game-birds, hares, and voles, not deer or larger prey. At this point, they cannot be taken by hawks or foxes, though bears can still cause you blackout and one will still collapse. The more you feed them the bigger they will become! Don't worry about them becoming fat, because this isn't a feature. In fact, the bigger they get, the stronger they are! If you feed them well, a couple of your cubs may well grow bigger than you are! Hazards such as the Fog and Wolves will still pose just as much of a threat, so do not feel super safe just yet! In autumn, when the hills are yellow and red, the cubs are called to follow the path of solitude. In the second autumn, your surviving cubs will stop following you and freeze around 2 minutes inward. You can call all you like, but they will not follow. This is the way of the lynx, a solitary creature. Your cubs will soon walk or run off to follow their own path, and you cannot follow. You cannot sprint after them. This is normal. Unfortunately, you will never see your cubs again as the current Mother Lynx. They are grown up. After this event, you can return to the den to end the game, but you can also explore for as much time as you like after they leave, so long as you do not go into your den. Once you return to the den, the stars will guide Mother Lynx. Your screen will fade, and reappear as a field of flowers. You sneak up to the top, where you will meet the randomly-coloured male who supposedly fathered your cubs. You can frolic all you like in the fields, still while the credits roll, though the screen will become more blurred. It's assumed that you and the male lynx came together again to play, and for you to bear yet another litter of cubs with him. Worn and weary, she hastens to her den. Her home, now vast and empty. 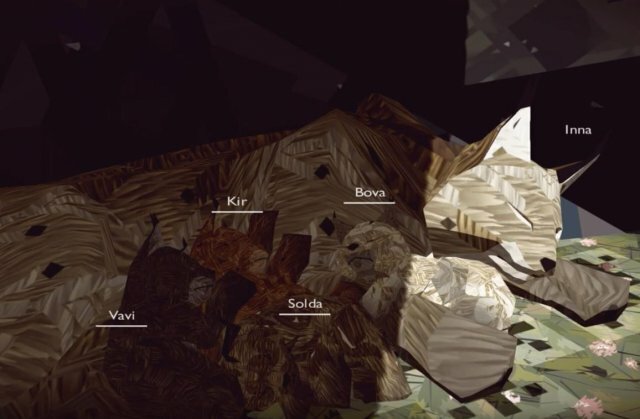 Once you "finish" Shelter 2, you can actually continue another generation from the perspective of any of your surviving cubs. The new cubs will be randomly patterned, though will always have the same colouring as all previous cubs. It will be the same as the first run - though you are playing as one of Inna's cubs, because Inna is not the mother of the new cubs.